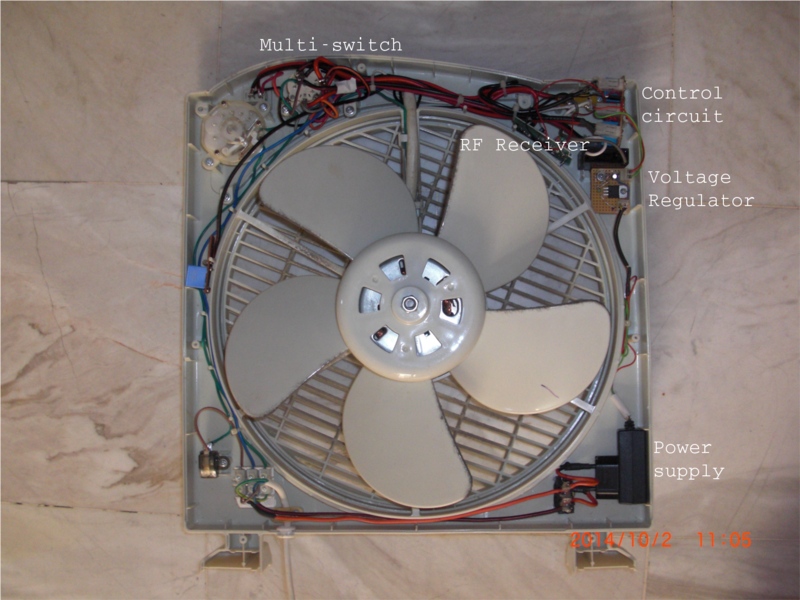 The fan has 3 different speed settings as a rotary multi-switch on the front panel. It also has a switch that enables an outer rim that spreads the air flow. 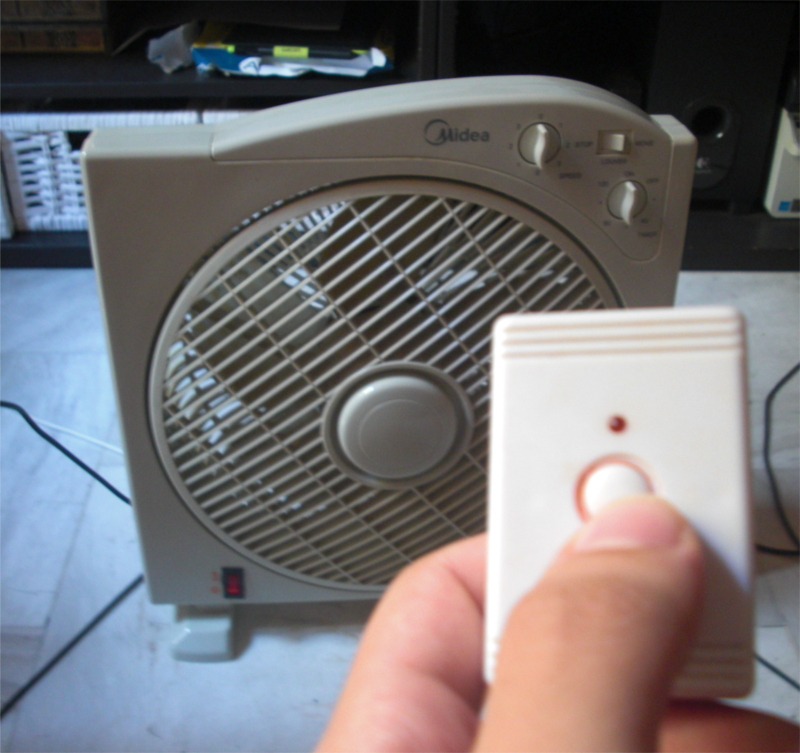 I kept those to allow you to use the fan manually if for some reason you want to. I used parts from a “remote controlled bell”. By remote controlled bell I mean a device that when you press a button on a remote, a bell up to a few meters away makes a sound. I took out the main board and found which contact goes HIGH on button press. After that the process was pretty straighforward. I used an AVR microcontroller with the receiver as input and a couple of relays as output. I didn’t have to alter the remote control in any way. To power the circuit, I used an old phone charger followed by a voltage regulator.